Fawna was terrible last night. Today she is much better. WE are trying to figure out why she was so bad last night. Me may never know. Today it is 30 degrees!!! Above zero!!!!! 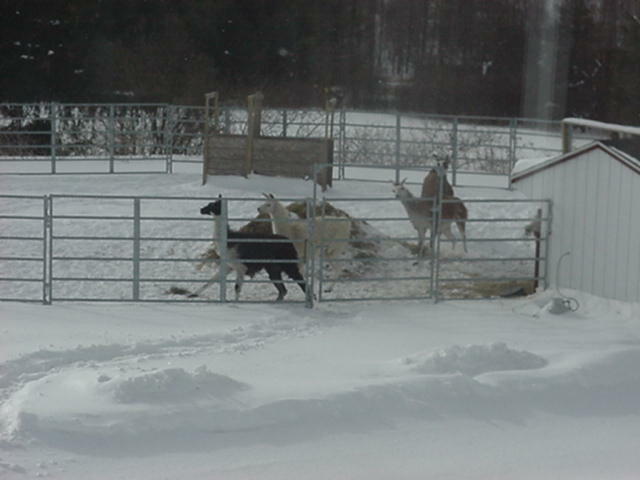 The boys were frolicing and pronking. By the time I got the camera they were just running around a bit. It is so much fun to watch. Click on the photo for a short video.